Last Friday evening the Strath Creek Landcare Group, the recently-formed King Parrot Creek Environment Group and Focus on Fauna joined forces to survey sections of the King Parrot Creek for the Australian Platypus Conservancy (click to visit the APC website). 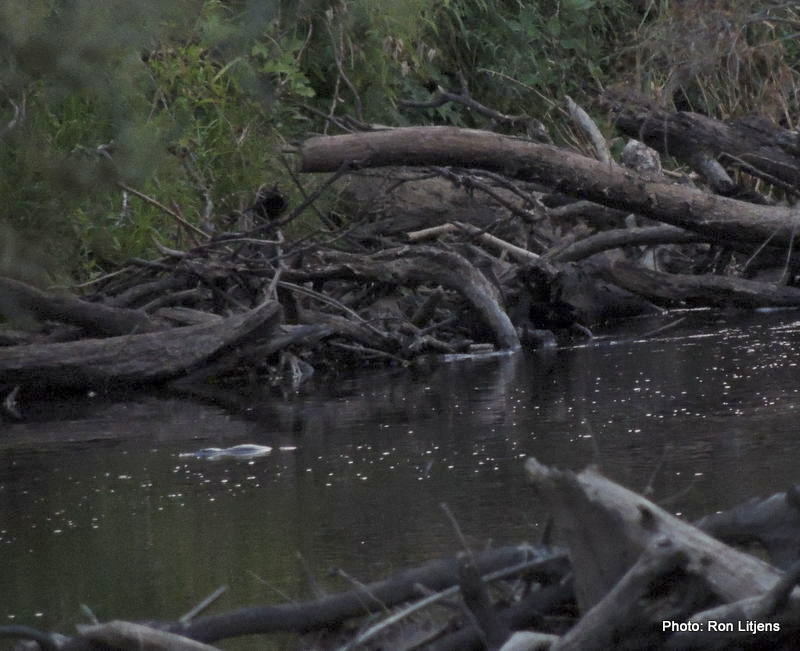 The procedures and protocols of the APC’s Group Watch program were followed as we surveyed for an hour just before dusk at seven sites along two sections of the creek – in Coonans Bridge Reserve at Flowerdale and near Burslems Bridge at Strath Creek. 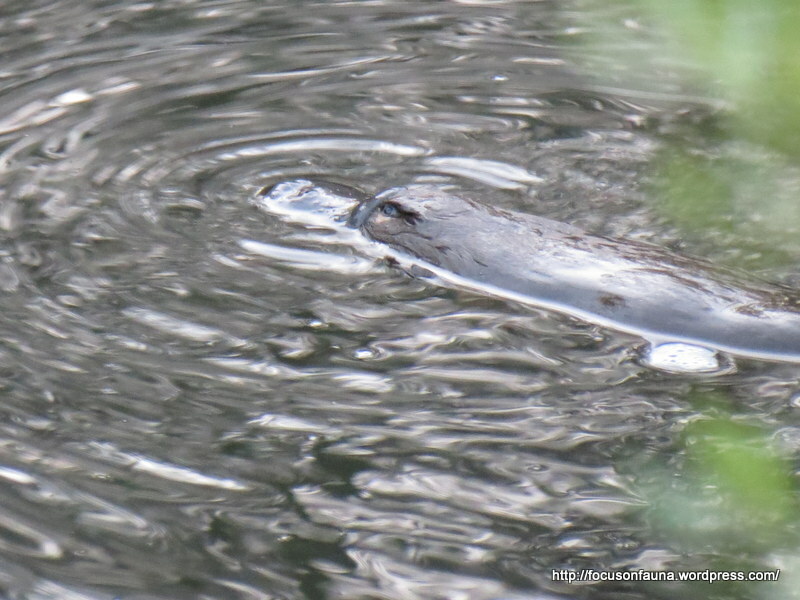 Group Watch aims to get a snapshot of the number of Platypus (Ornithorhynchus anatinus) and Rakali or Water Rat (Hydromys chrysogaster) in a particular area by having volunteer groups periodically monitor a waterway using standardised methods. 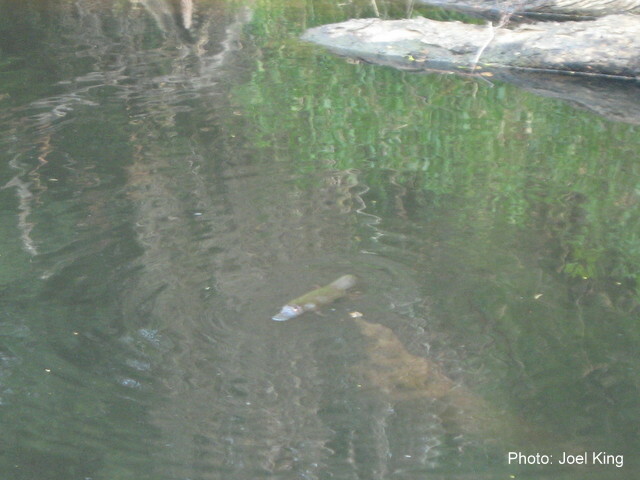 Officially we recorded four platypus and one rakali , which was a great thrill for all participants. 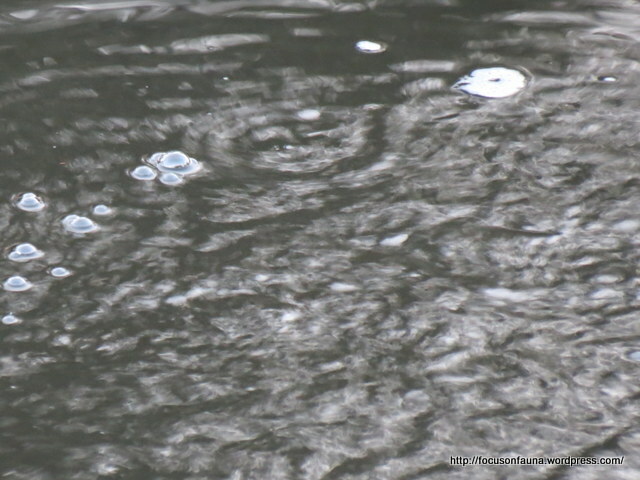 In fact, it was probably five platypus, as Ron had sightings upstream and downstream of him with no platypus passing him. The survey was followed by refreshments after which several other keen locals joined us in a KPCEG-sponsored spotlight walk led by Trent with his impressive array of technical equipment, including a thermal-imaging camera and parabolic microphones. 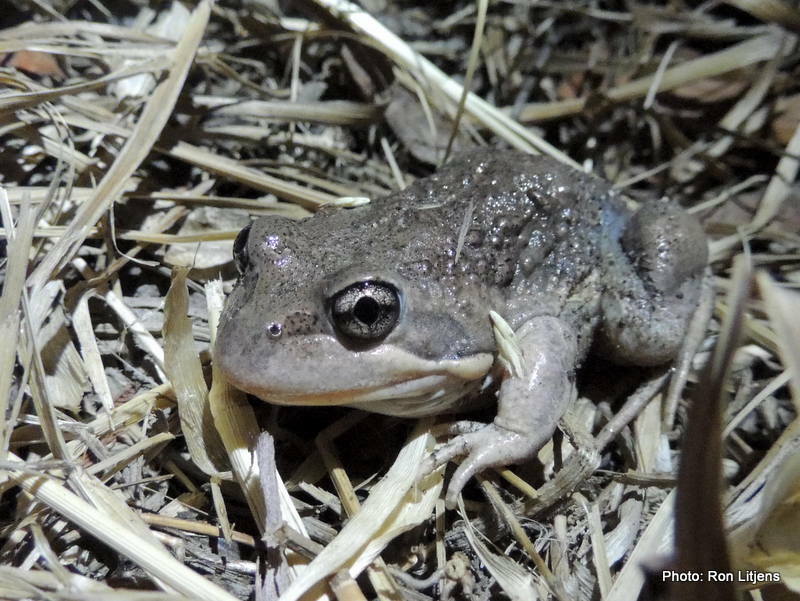 The kids involved were especially good at finding a range of birds, possums and frogs such as this Pobblebonk (Limnodynastes dumerilii). Click HERE to view a report on the KPCEG website, and stay tuned for Ronlit’s next post on this blog about birds encountered during the survey and spotlight walk. It’s just fantastic that you have such a seemingly healthy population of Platypus in the King Parrot Ck. It’s likely, in no small part, to be a direct result of the km’s of Landcare plantings that are improving the quality of the in-stream and riparian environments along the King Parrot Ck. Great news. 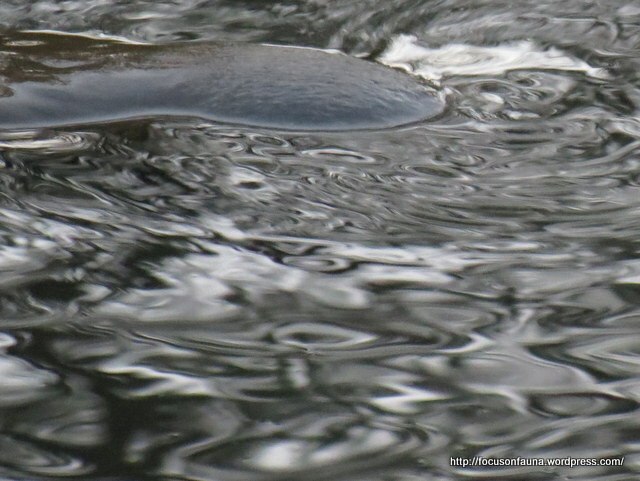 Do you think you can pick up these platypus using remote motion sensing cameras? Thanks for the comment, Bert – there have always been platypus in the King Parrot Ck, but I suspect numbers are higher at present than they have been for a long time. We know of 3 other platypus that have been reported to the APC recently, independently of our group. Yes, there is little doubt the Landcare and other revegetation work along the creek has increased the habitat value for platypus and other wildlife. We had the same thought about using remote cameras and we’ll give it a try.